Fair. Ex library copy. yellow pages due to age, **SHIPPED FROM UK** We believe you will be completely satisfied with our quick and reliable service. All orders are dispatched as swiftly as possible! Buy with confidence! Good. 1990. Vintage Books Edition. Paperback. Clean copy in good to very good condition......We ship daily from our Bookshop. Very Good. Ellen Foster (Oprah's Book Club) by Gibbons, 1990-12-31. Trade paperback (US). Glued binding. 144 p. Oprah's Book Club. Intended for a young adult/teenage audience. Very Good. 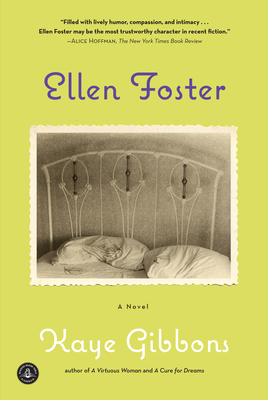 Ellen Foster: A Novel by Gibbons, Kaye, 1987-05-01. Sewn binding. Cloth over boards. Another book in which i was sad to realize was coming to an end. It left me wanting to know more, what else. The story is powerful. Excellent book. This is one of my all-time favorite books. Even though I seemingly had little in common with Ellen, the character still touched my heart. Tragic, yet heroic at the same time.